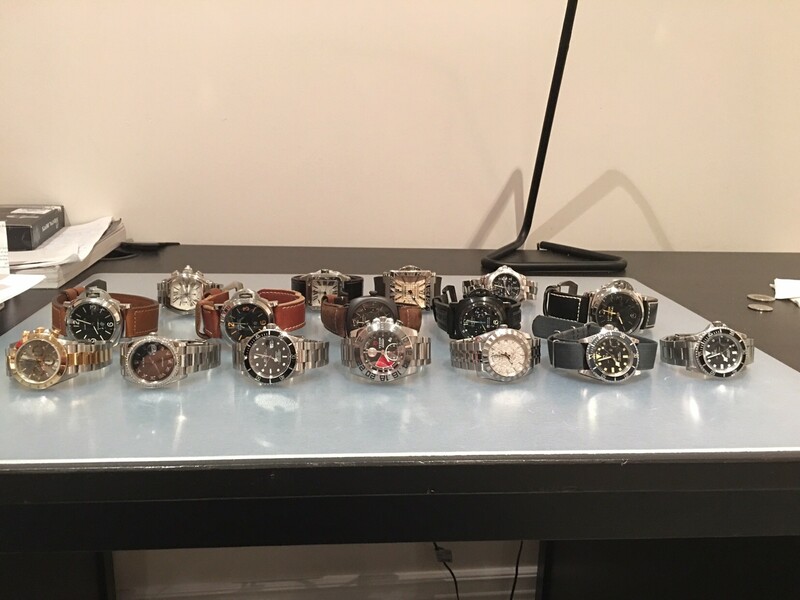 Rolex Forums - Rolex Watch Forum - How many Rolex collectors own a Panerai? How many Rolex collectors own a Panerai? Just wanted to see how many of you Rolex enthusiasts also have a Panerai in their collection. Been itching to add a PAM 233 as of late. 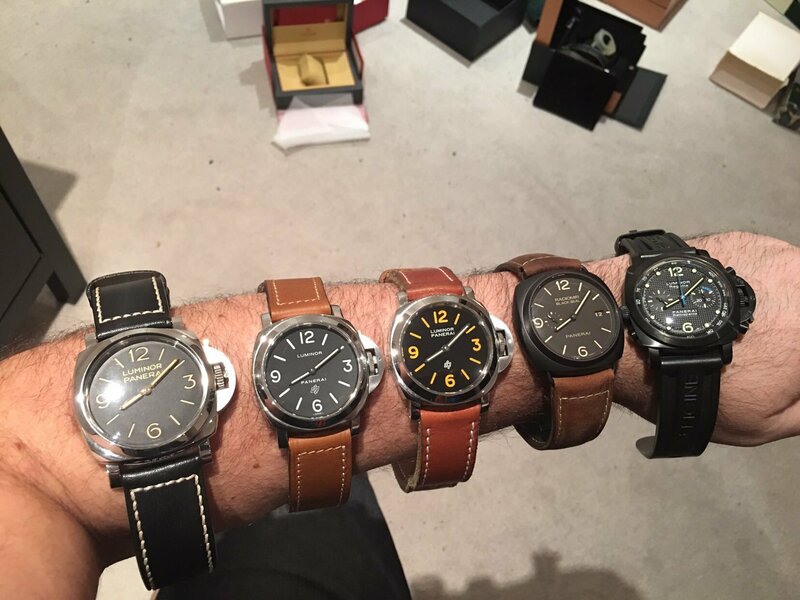 I used to be a huge Panerai fan a few years back but flipped them all as the big watch trend died down. 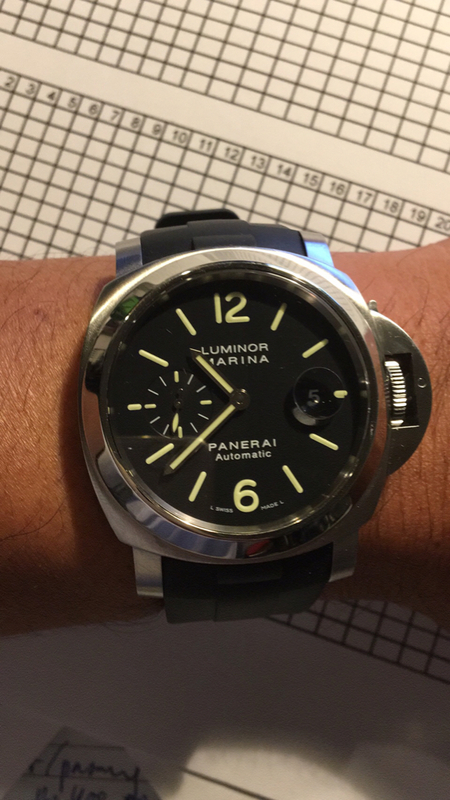 For those of you who currently own a Panerai(s), does it still get much wrist time? I dress mostly smart casual to work, dress shirt and slacks, and I am a bit concerned a PAM would look inappropriate. Would love to hear your thoughts. Had an 005, sold it. Did not wear it as I thought it was too big. A smaller one would tempt me. Love Panerai. Fit and finish and build quality is impeccable. The strap changing always gives it a new look. I love them and enjoy putting different straps on them. I've owned a handful of PAMs over the years. I ended up flipping them all. I picked up a 512 last summer. This is the only watch I've ever owned twice. I'm thinking about adding a 351 to the mix. I flipped my 351 a few years ago. As far as too big, I don't really care what anyone else thinks about my watches. What I do like about Panerai is I can actually see what time it is! Exactly. Panerais are so unique and versatile. Is yours part of your daily rotation or just for weekends? Awesome lineup. A true Paneristi. Do you also collect other brands? I keep my Pam in rotation. It wears very comfortable and it's legibility and lume are in its own league. Panerai and Rolex are great together because they are so different, yet both are iconic styles. Pam is the ultimate strap watch and could be a great one and only watch like a Rolex Sub. I have had my Pam on family beach vacations and it makes a ideal travelers watch. Thanks. It looks great on you! Wow! That's a diverse and enviable collection you got there. 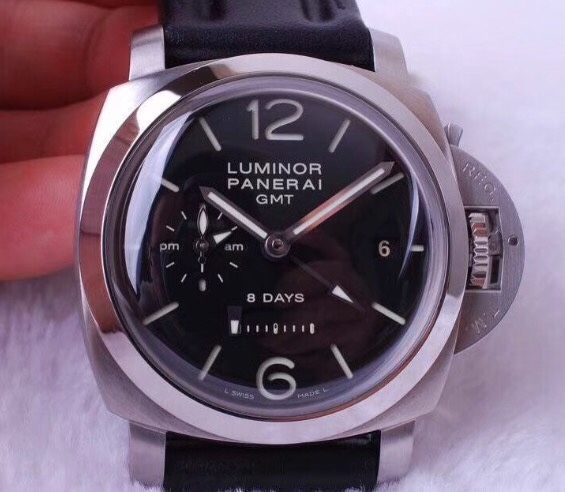 Was pretty much like you, sold off my only PAM (a 164) some years back and was looking to stay away from large watches, but just returned to Panerai unintentionally with a PAM737. One tip would be to consider the Titanium models - I prefer them because I like the lighter weight, and never larger than 44mm. It does however narrow down your options quite a fair bit. 737? Is that the newly introduced green dial model? Pls do share a wrist shot if it's not too much trouble. No trouble at all - here you go: On the original strap and I've since swapped it onto a brown rubber strap (tried to contrast with the black Panerai envelope) which is not very obvious from photographs! I have only collected Rolex until one day recently I traded and received a PAM 111. My only regret is why I never got one sooner. That said, when I had to choose the other day between a new 233 with a marginal discount of 4% and a new DJ41 rhodium diamond dial on a jubilee for 15% off, I went with Rolex. But for sure if the right PAM comes up for the right price I would be all over it. I have a pam005.. still wear mine in rotation. Bought it not because of group cult calling but because of the design that makes it a must have on a collection in my opinion. Also rolex and Panerai has a historically rich background. Yes, own and love both. I originally bought a 40mm PAM 48 in the early 2000s as my first non-beater watch. Since then I've flipped a large number of 44mm PAMs, but still wear my original one in rotation with my Pepsi GMT several times a week. The 40mm ones may not be popular on some forums, but in real life its nice to have a cool watch that fits perfectly. I agree with the notion that PAM is the ultimate strap watch, while Rolex is my favorite bracelet watch. I also had a 40mm Pam, a chrono (PAM 74) with the zenith movement. Really great watch, but I sold it to fund another watch. Wish I still had it. 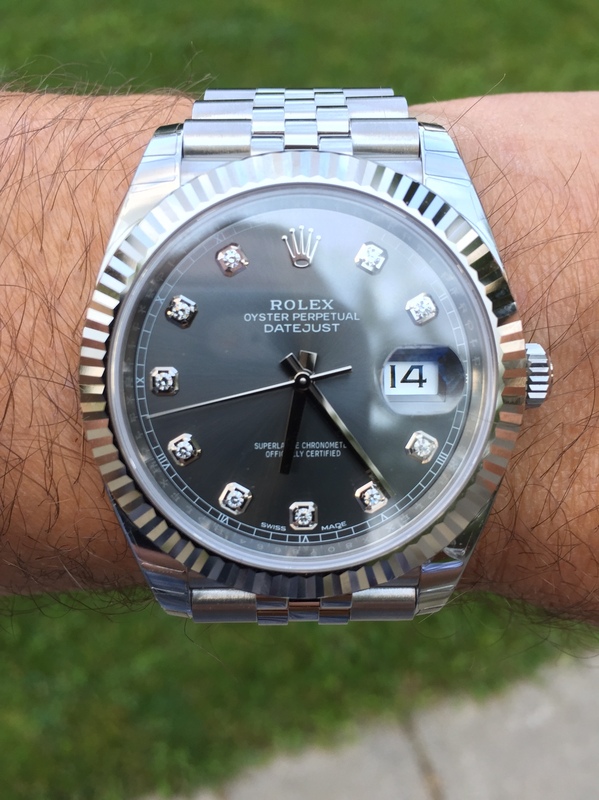 I'd love a 177 or possibly 111, but every time I try one on, my teenage daughter tells me it looks outrageously big on me (5'5" with 6.5" wrists). I generally listen to her fashion advice, so haven't bit the bullet yet. She also tells me I shouldn't wear cargo pants... damn kids. I own more Panerai than Rolex. I always find it funny when people say they got out of Panerai because of the big watch trend fading. Has it? Brands like Rolex continue to release more big pieces.